An afternoon tea with entertainment for the isolated elderly was hosted by the Holiday Inn, Aylesbury, providing an enjoyable event for some people who haven’t been out of their home for months. 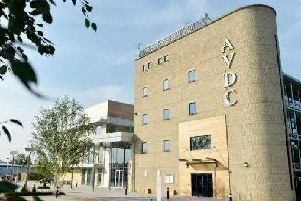 The event was organised in partnership with Home Instead Senior Care Aylesbury and North East Oxfordshire and The Aylesbury Performing Arts Centre. The tea was arranged especially for local elderly individuals who, for reasons including mobility and accessibility, are not able to go out and socialise in a relaxed and safe environment. The event which took place on Thursday, March 17, took six months to plan. Bal Harrington, one of the directors of Home Instead Aylesbury, said: “It was about giving something back as we’d identified a gap through the people we work with. When I first approached Ian at the Holiday Inn with some ideas I was thrilled to find plenty of support. The event itself was gentle and relaxed and much enjoyed by the audience. Kerrie Brindle from Benefit Health and Wellbeing led a series of armchair exercises and quickly had everyone joining in. She was understanding of the different levels of mobility of her audience and said it was essential that people of all ages participate in physical activity. A delightful high tea provided by Holiday Inn provided the opportunity to speak to guests and helpers. Caroline, one of many Home Instead Care Givers supporting the event, said it was good fun and enjoyed by those she assisted during the event. Jackie had enjoyed the exercises and Michael and Bill both wanted to know when the next event would take place. Other guests said how they enjoyed the event too. The afternoon ended with an energetic series of songs and dances by the Aylesbury Performing Arts Centre led by Katie Ford. She said she was proud to support such a wonderful event and delighted at how well the students performed and the very warm reception they received from those attending. The performers had the guests tapping and singing along to provide a musical end to an afternoon much enjoyed and appreciated by everyone. Steve Wilcox, manager of the Extra-Care Charity Shop in Bedgrove stepped in to support two individuals to travel to the event. During the event, the Care Givers discovered that three of the guests hadn’t left their homes in over 10 months.